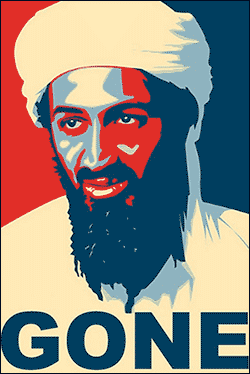 The Osama Bin Laden raid was suspect from the very beginning. Not only were key initial descriptions of the assault completely incorrect (such as him being armed and his wife being killed), but the manner in which his body was rapidly tossed into the ocean was beyond bizarre. I mean, Tony Soprano keeps a body longer than that. WASHINGTON (AP) — The nation’s top special operations commander ordered military files about the Navy SEAL raid on Osama bin Laden’s hideout to be purged from Defense Department computers and sent to the CIA, where they could be more easily shielded from ever being made public. But secretly moving the records allowed the Pentagon to tell The Associated Press that it couldn’t find any documents inside the Defense Department that AP had requested more than two years ago, and could represent a new strategy for the U.S. government to shield even its most sensitive activities from public scrutiny.